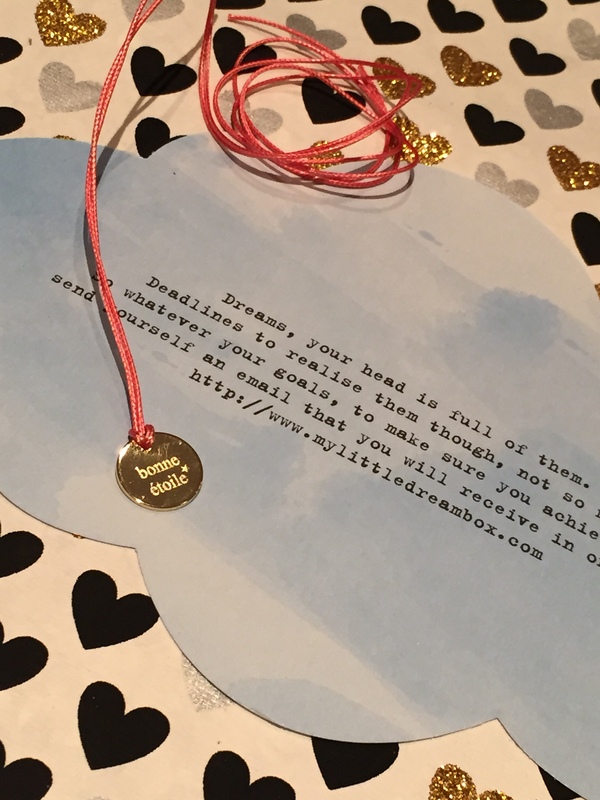 The April My Little Box is here and this month’s theme is all about dreams and wishes. I find each of these boxes to be so adorable and I love the motivational quotes that are printed on and within the box. 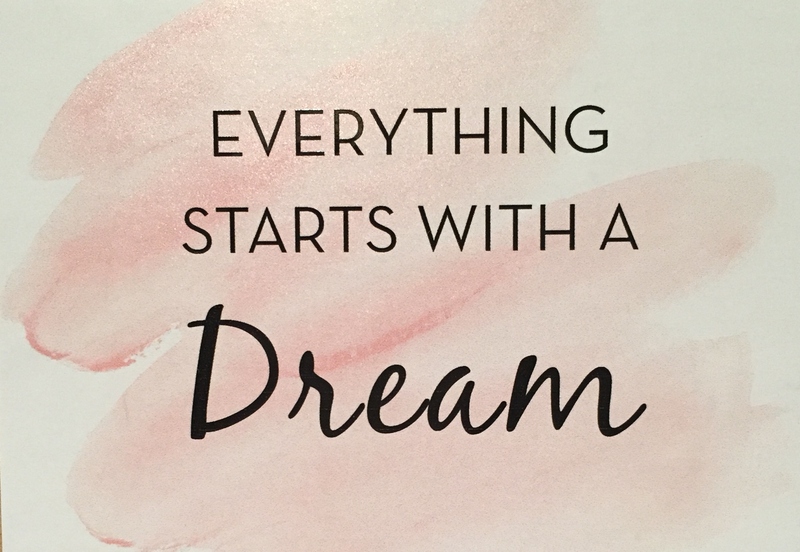 Everything starts with a dream, this inspiring quote followed by that of Walt Disney’s “If you can dream it, you can do it” re-iterates the fact that if you set yourself a goal and put your mind to it, you will successfully achieve what you set out to do. The boxes have an overall happy vibe to them and this one is no exception. The surprise additional gift this month is a string necklace by Delphine Pariente. She is a jewellery designer from France and has stores throughout Paris. The necklace has a peachy pink silky cord with a gold disc which says “Bonne Etoile”, which means Lucky Star. I think I’ll be creative and make it into a bracelet. I love having a stack of string bracelets on my wrist so this will fit right in! This one retails at £20 and there is an offer providing subscribers 20% off instore/online. 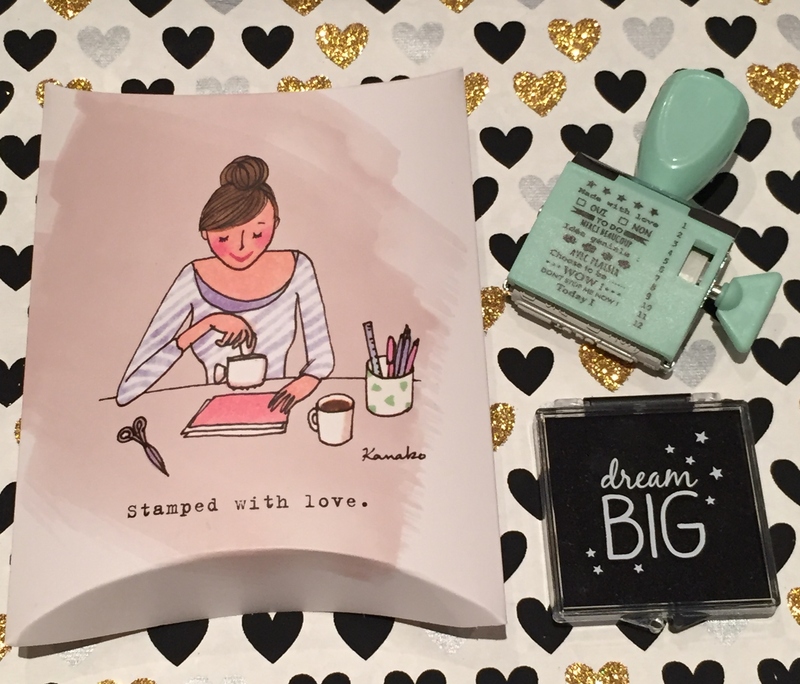 The second lifestyle product is an adorable stamp and ink pad. It has 12 different phrases or symbols which you can change with the key at the side of the stamp. Phrases include Merci Beaucoup and Made With Love. Perfect for adding to celebration cards and notebooks. 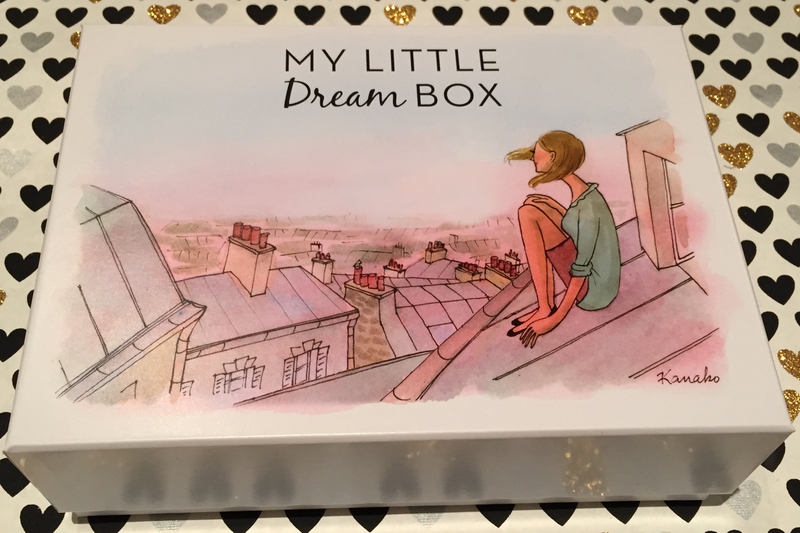 I love the fact that the phrases are in both French and English as it keeps the My Little Box vibe alive. This retails at £8. 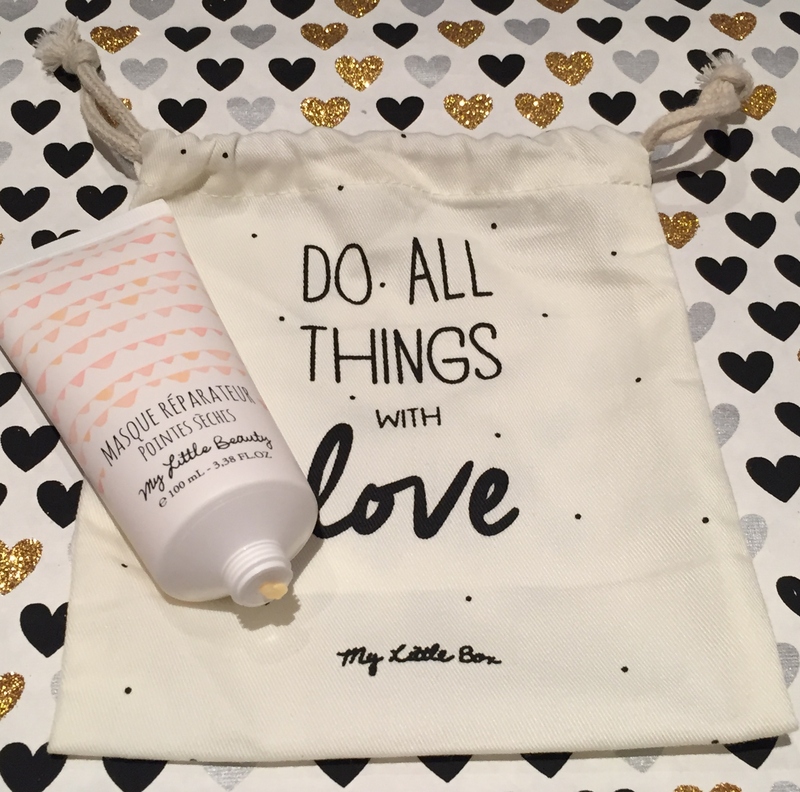 The beauty products this month come in a little bag printed with “Do All Things with Love”. These little bags come in so handy for travelling or storing jewellery or make up. From the My Little Beauty collection, this repairing hair mask will boost dry and damaged hair. Containing shea butter and walnut oil, the mask will work on towel dried hair for 2 minutes. Wash it off with a burst of cold water to seal the hair cuticles. It smells delicious like butter cream frosting. 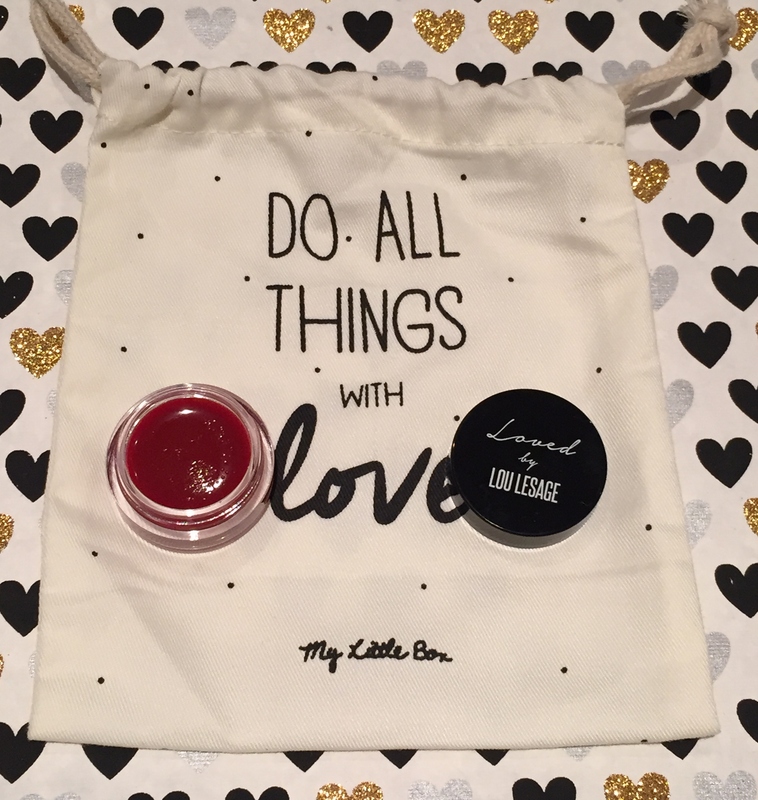 This hand bag sized lip balm will give lips a subtle tint of red whilst fully moisturising them. The product doesn’t feel greasy and feels light weight. I’m pretty sure it has a dual purpose as I’ve already used it on my cheeks which has given me a nicely glowing complexion. I absolutely love the packaging of this item. It’s so fun and appealing. I thought that it was going to be a lipstick however it turns out it’s a perfume stick. 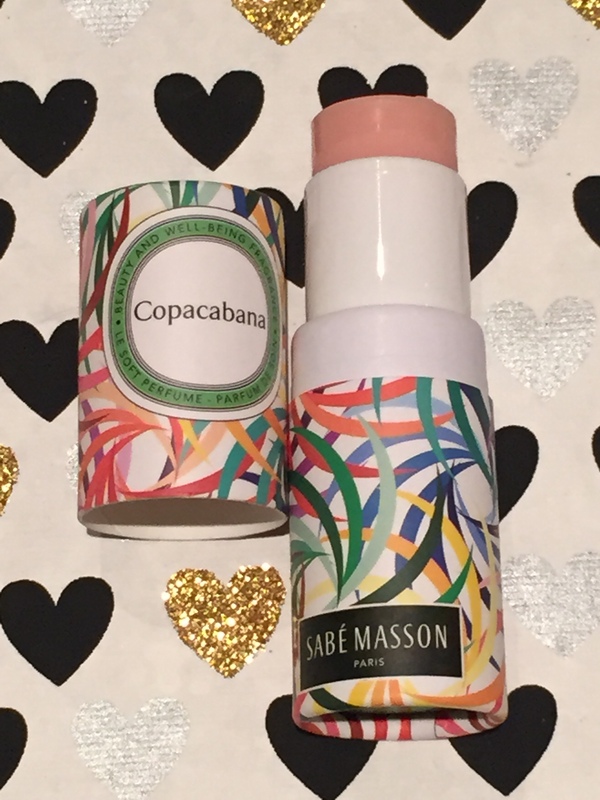 I received the scent Copacabana which contains exotic notes. I’m not entirely sure of the ingredients however it is alcohol and paraben free and completely natural. The scent reminds me of Refresher fizzy sweets. I wouldn’t say it’s over powering or long lasting however I didn’t put a lot on. 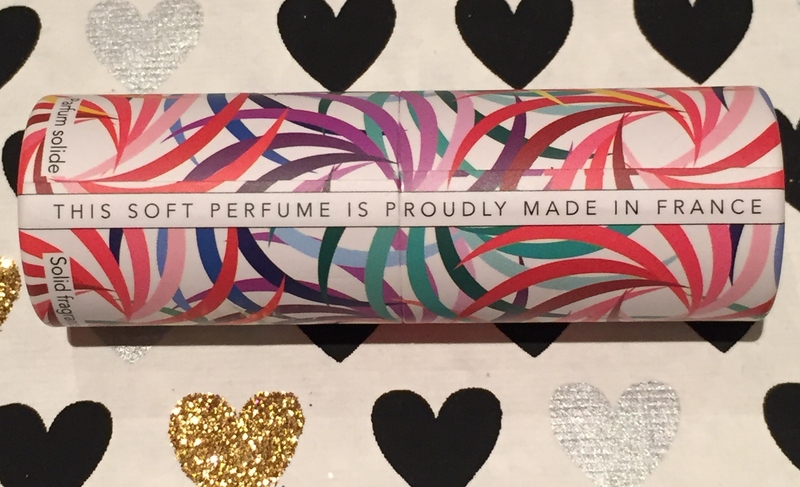 Perfect for on the go top ups for a light fresh Spring fragrance and will easily fit in your hand bag or clutch on a night out. The magazine this month has moved away from being like a book and is more like a folding paper which transforms one side into a poster. I preferred the magazine format as there was more content so hopefully this is a one off. 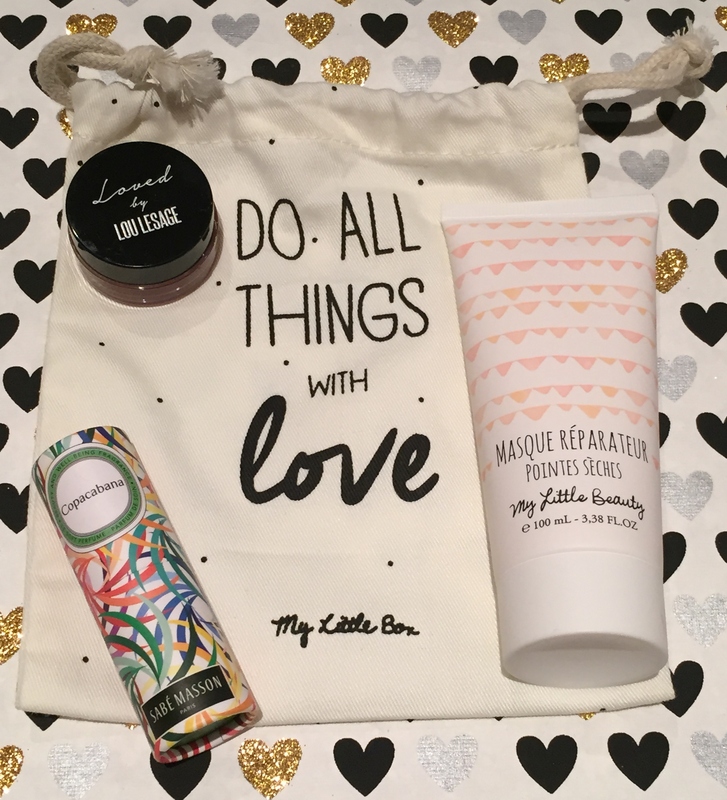 Items from the My Little Beauty range and the lifestyle products can be purchased from http://www.mylittlecorner.fr however they don’t ship these to the UK yet. Let me know your thoughts on this box and if you received anything different to mine. I’ve never heard of this box before – everything’s so cute! What a lovely box, whenever I see the contents of My Little Box I’m a little jealous that they don’t ship to Spain! That’s where I’m living now and we only have Birchbox!